Make a list of all the breads you can think of (i.e. Wonderbread, bagels, pita bread, etc, etc, etc). Then, next to each one note the color, texture, flavor, and smell. I must first state that I LOVE bread. It may sound a bit strange, but there is something so wonderful about walking into a kitchen that has just produced some fresh, heavenly bread. You might say it's a passion of mine... But anyways, on with the list! sourdough - With a honey-colored, hard crust, sourdough bread has dense inside. True to it's name, the bread both smells and tastes sour in comparison to most breads, but it's quite delectable. croissant - This bread has a flaky outer crust that, once bitten, reveals a slightly less flaky interior that is spongy to chew. It tastes like heaven. rolls (specifically those O'Charley's ones... mmmmm) - A light golden brown, unsliceable crust is only the beginning of this magnificent roll. Inside is the fluffiest of breads that practically melts in your mouth. It smells strongly of butter. Amish friendship bread - This bread takes a LONG time to make, but it's totally worth it in the end. There are different recipes that require different times, but my favorite is the 30-day recipe. It's so good. Seriously. The consistency of the finished product is almost cake-like (kind of like a quick bread), but the flavor is richer. It's sweet and uber yummy. biscotti - Biscotti is a loaf of bread that is cut up into small, long sections and then baked for crispness. When eaten with a topping such as diced tomatos or something of the like, it turns into a scrumptious little snack. cornbread - A southern favorite, cornbread comes in both sweet and unsweetened flavors. It is a type of quick bread and has a yellow color, thanks to the corn ingredient. The texture is a bit grainy, and is a wonderful addition to any southern meal. 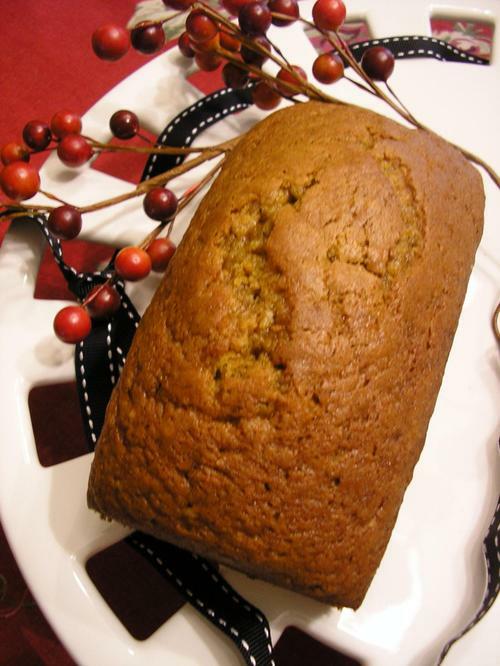 pumpkin bread (my personal favorite) - There is nothing bad about pumpkin bread. It is an absolute good. Seriously. Not even kidding a little bit here. I put cloves and other things in my special recipe (see it at the end of this post), so mine tends to come out a little darker than most, but I love the taste of the cloves. The pumpkin taste is also pretty lovely. It's super duper moist and, like the O'Charley's rolls, melts in your mouth. Catch it when it's right out of the oven, and you can slap some butter on it, making the xperience of eating it all the more heavenly. naan - I had naan when I went to a local Persian restaurant, and, while I didn't really like the rest of the food, I loved the bread. It's a pita-style bread with a very similar consistency, but it's lighter with larger pockets of air. It has a light brown color, almost cream-colored and goes really well with garlic. Make some. For realz, yo. It's ballin'. Umm yeah you definitely love bread!!! What a fun exercise!! You always have great exercises! And thanks a lot for the recipe! It's still some time until I will need it, but I put it away safely!